Sorry, Dimora delle Balze is not available for the selected dates. 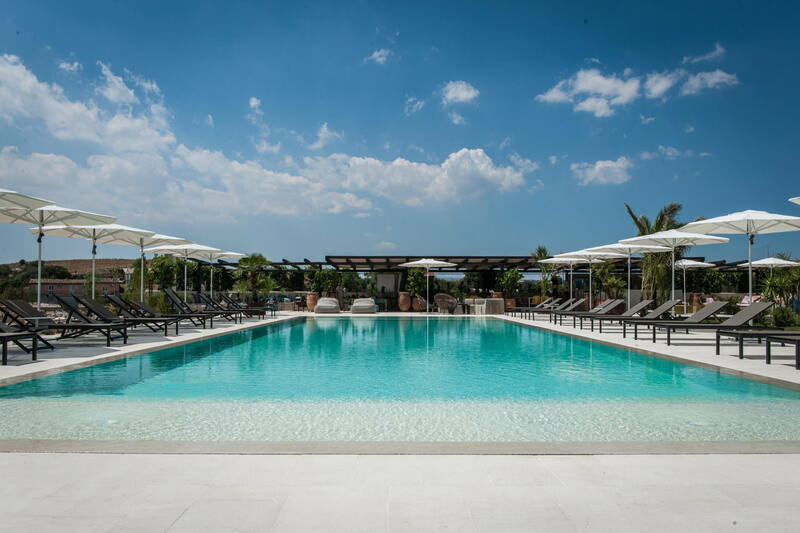 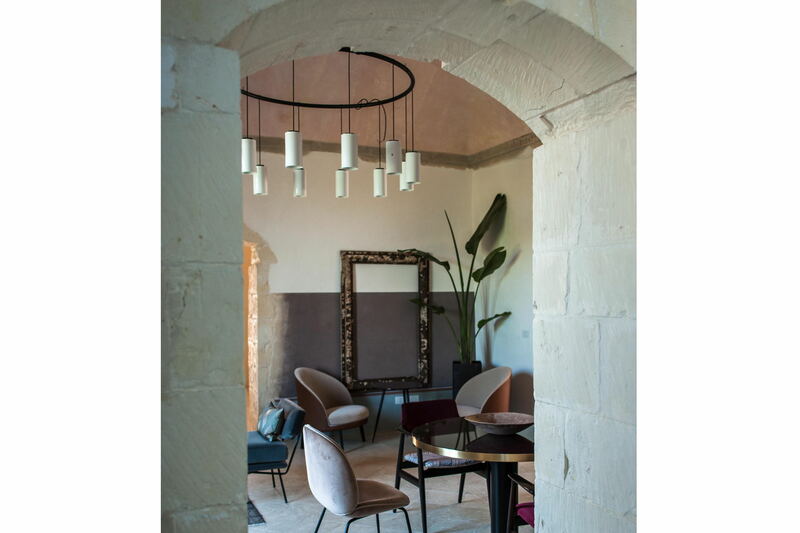 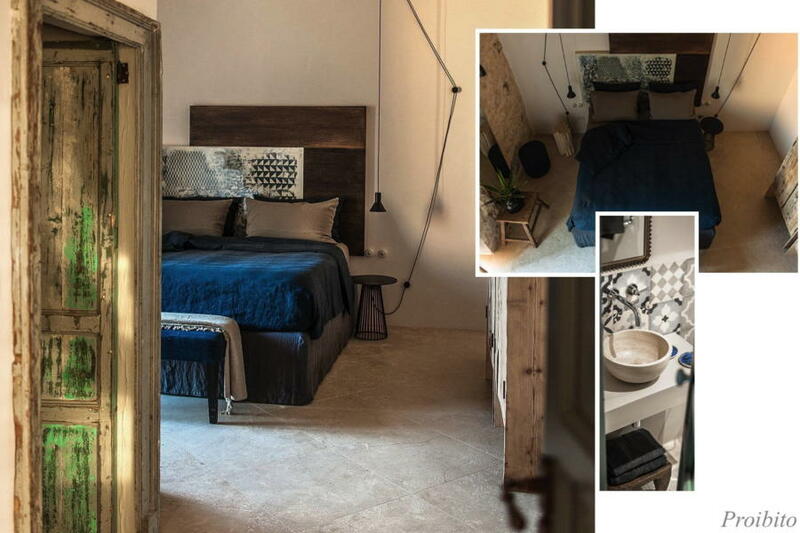 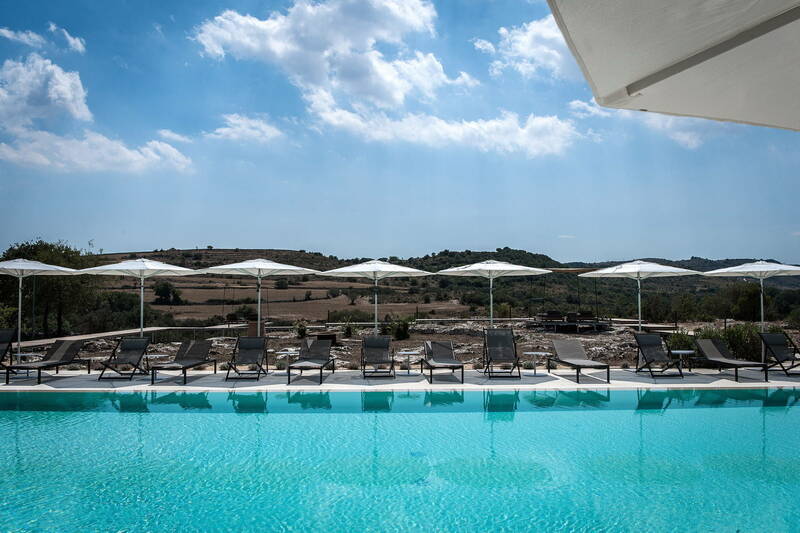 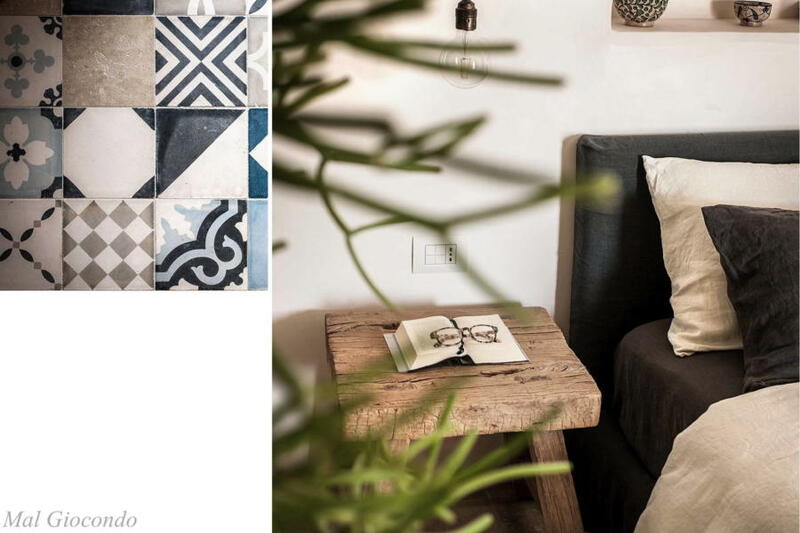 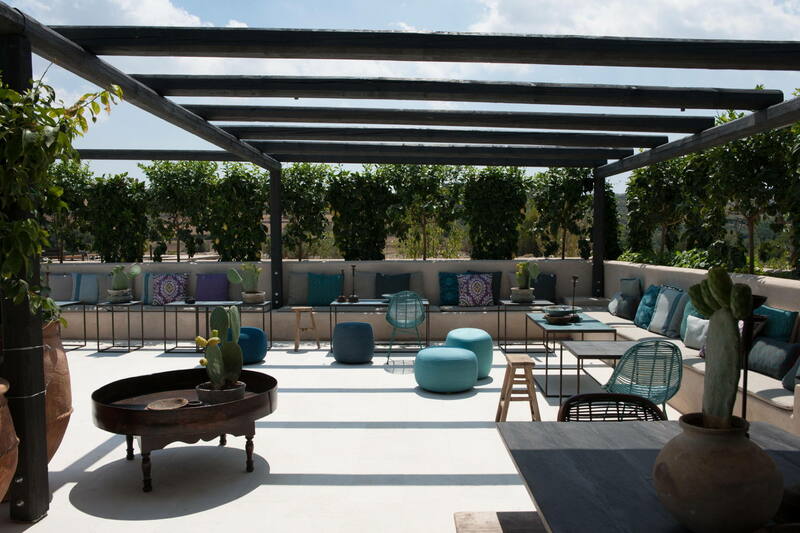 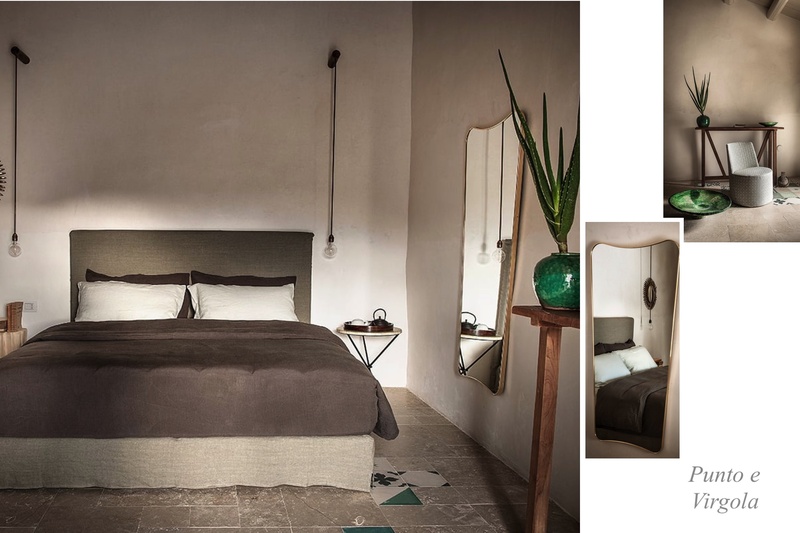 Highlighting stone and art together, this magnificent boutique hotel reflects the colours and sinuous lines of the picturesque Noto valley landscape, including its scenic ravines and bright green fields dotted with grazing animals and white boulders. 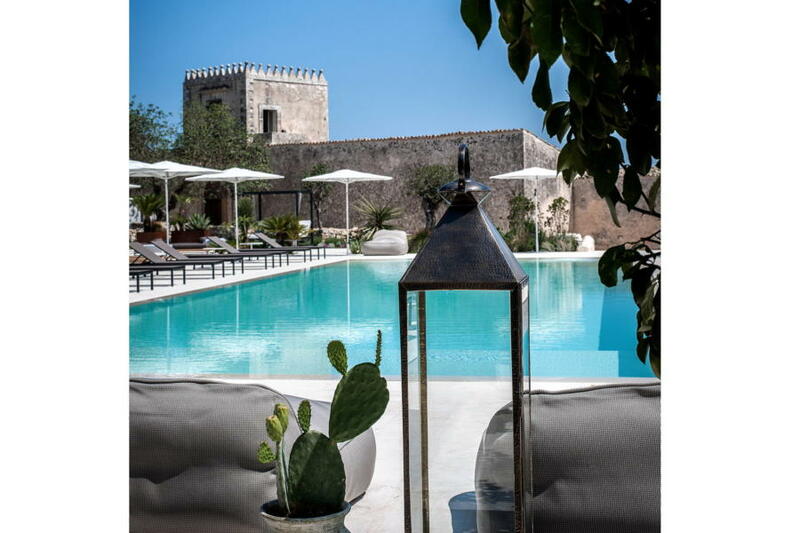 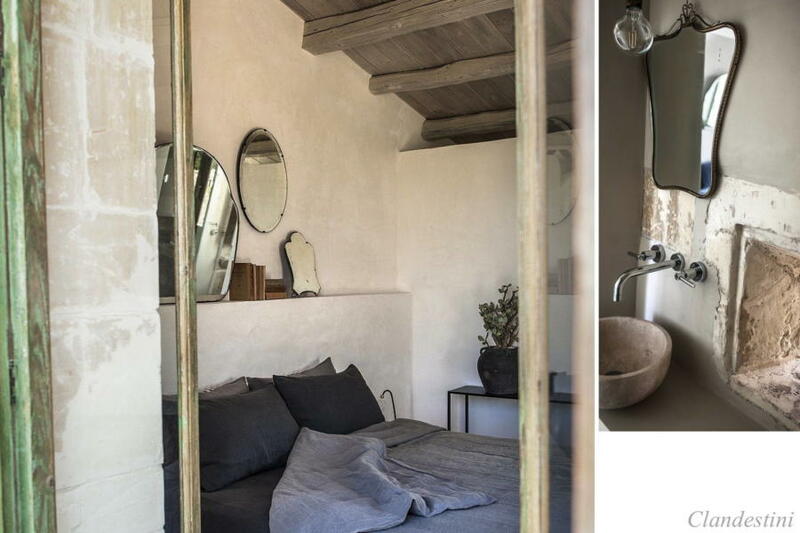 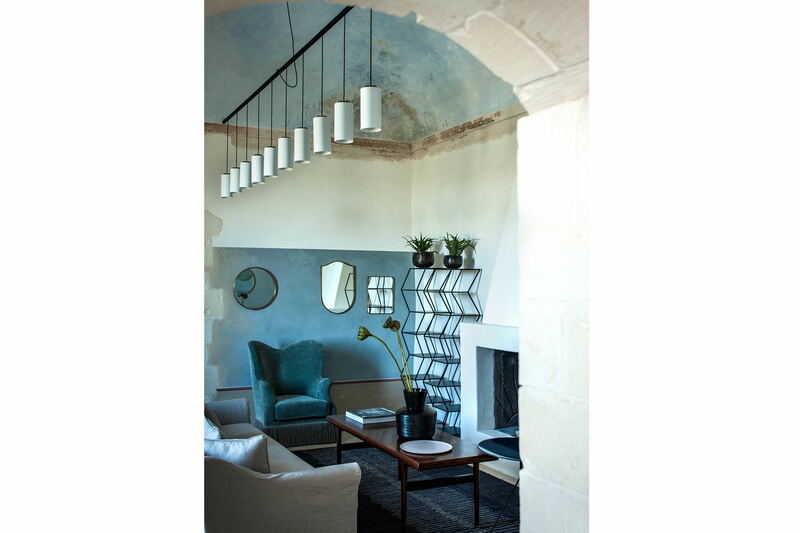 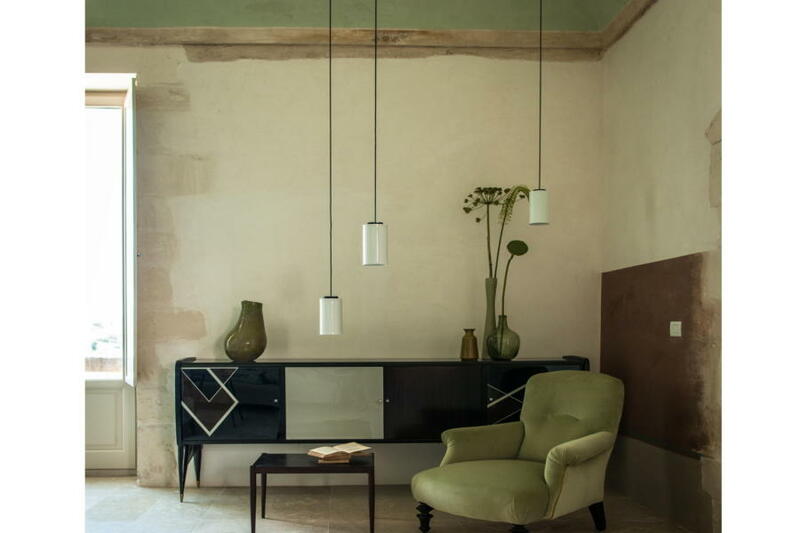 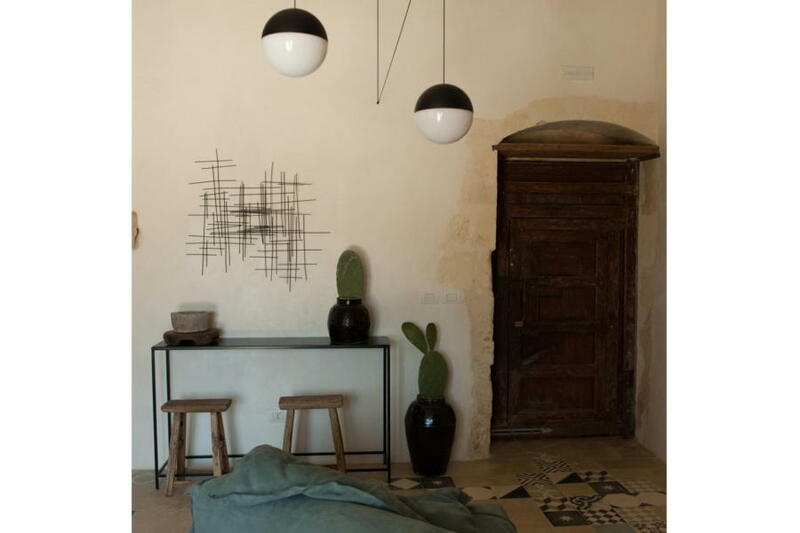 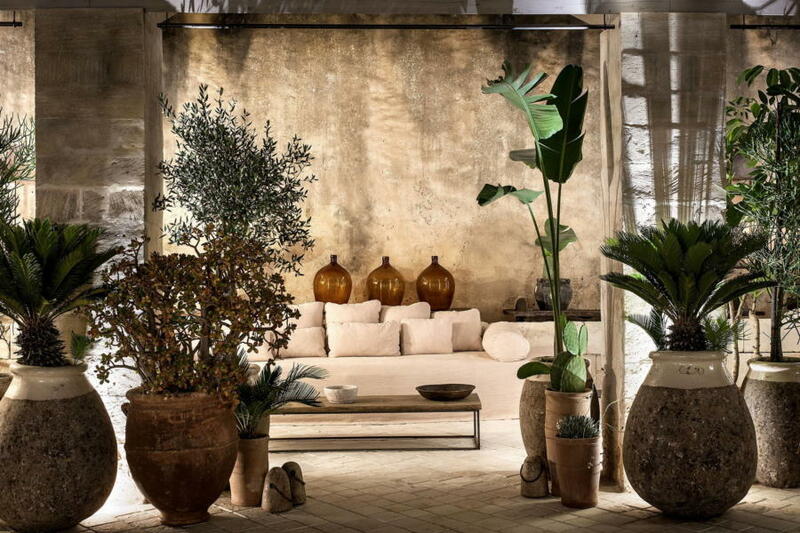 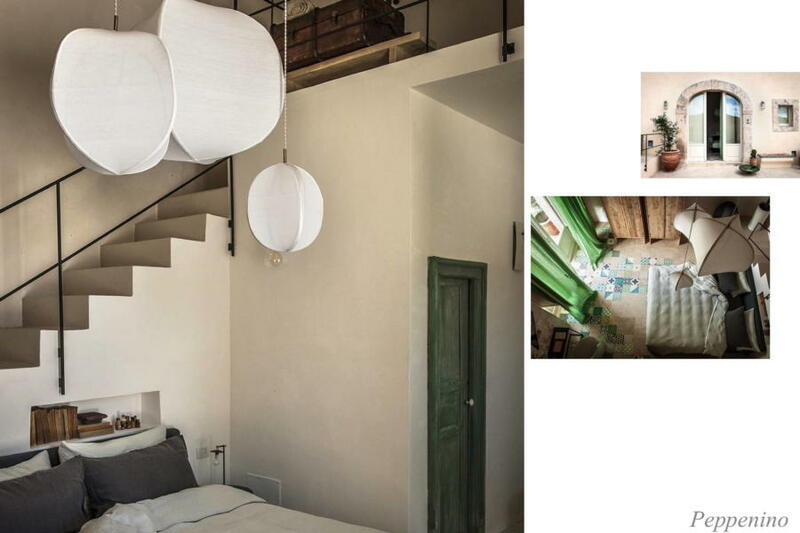 It was originally an elegant and proud ‘Baglio’ (traditional Sicilian country house): a timeless house, with its authentic structural foundations, celebrating the authentic Sicilian spirit. 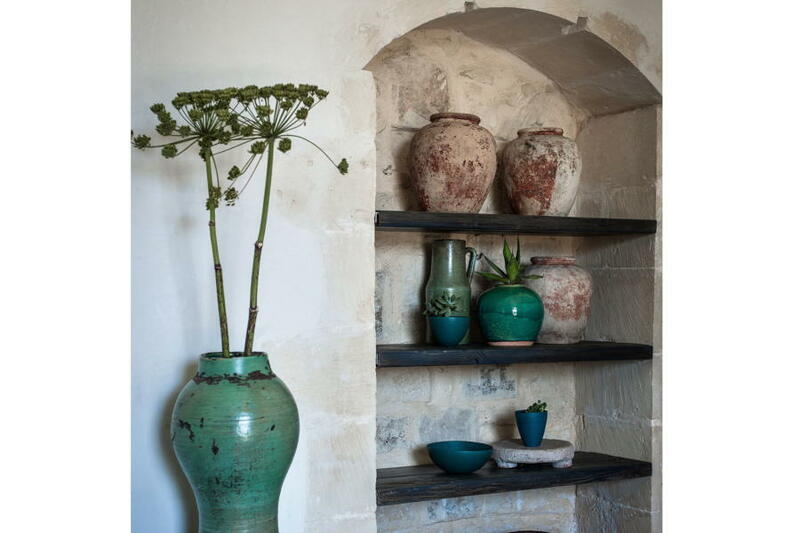 The entrance to the estate is by a road paved with local stone, between two walls bearing depictions of the four seasons of the year. The building is located on a green hillside, with three courtyards, layered terraces, a refined lounge area, a delicious lemon orchard and – among the scents of orange blossom, jasmine and other Mediterranean aromas – an elegant saltwater swimming pool with a view over the gorgeous green valleys. 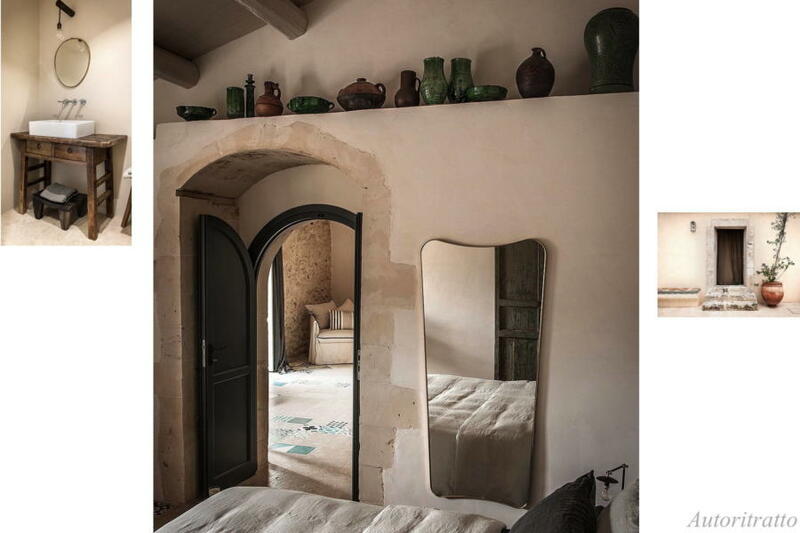 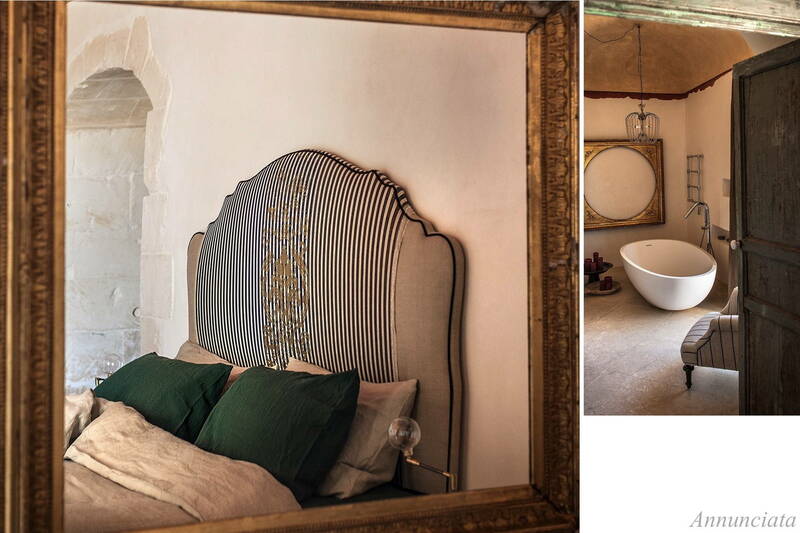 The bedrooms are located along the three courtyards, the old manger and the stables (beautifully restored in local stone, with artistic and ethnic elements). 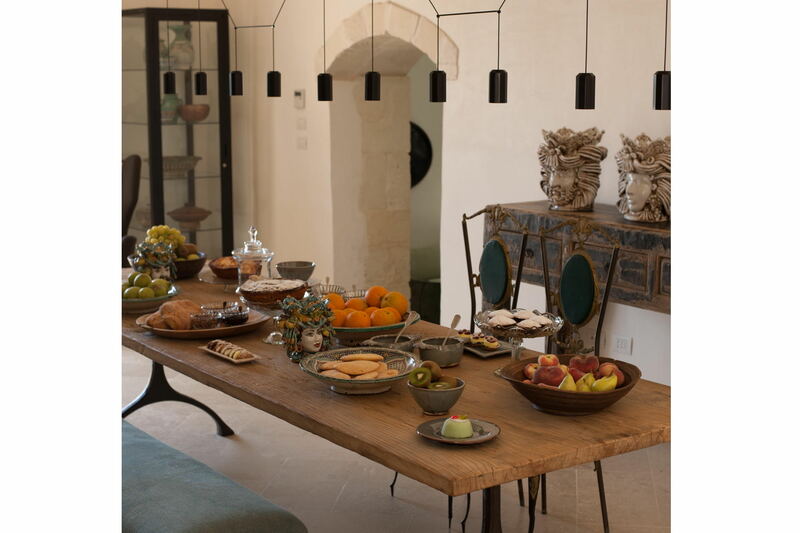 The main residence itself comprises dining rooms, relaxation areas and several bedrooms. 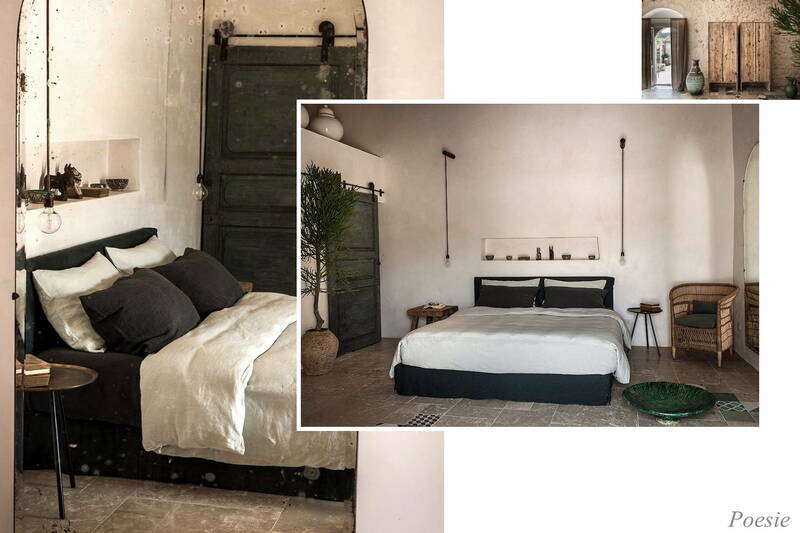 The entire estate is designed around a Sicilian theme: each room is dedicated to a great Sicilian artist, whether from the world of cinema, literature, art, poetry or music, and celebrates the charm of the island. 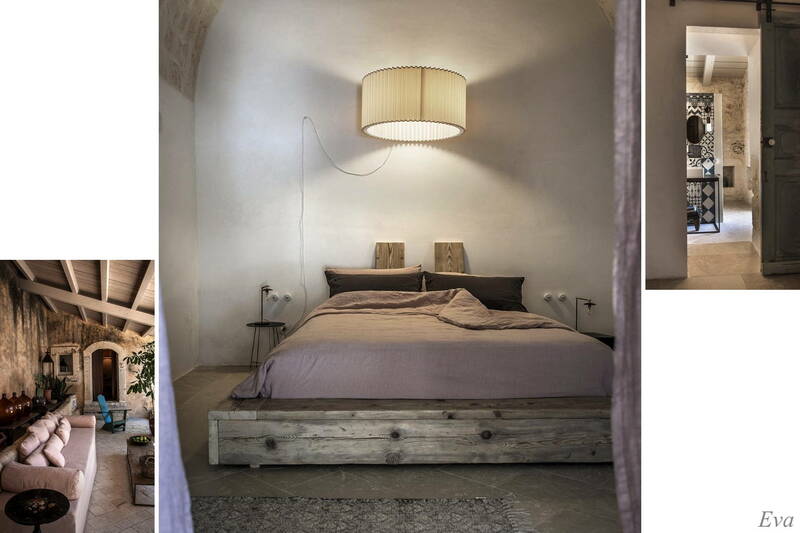 There are 12 rooms in total, each with an en-suite bathroom and a view. 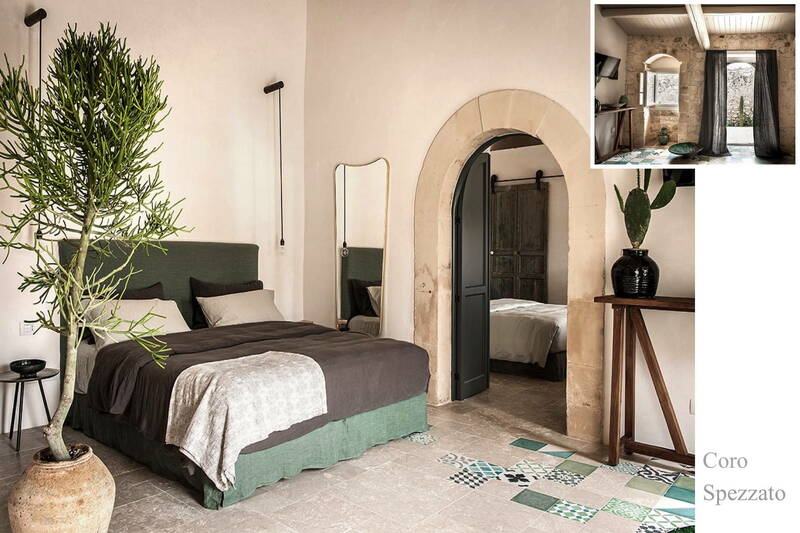 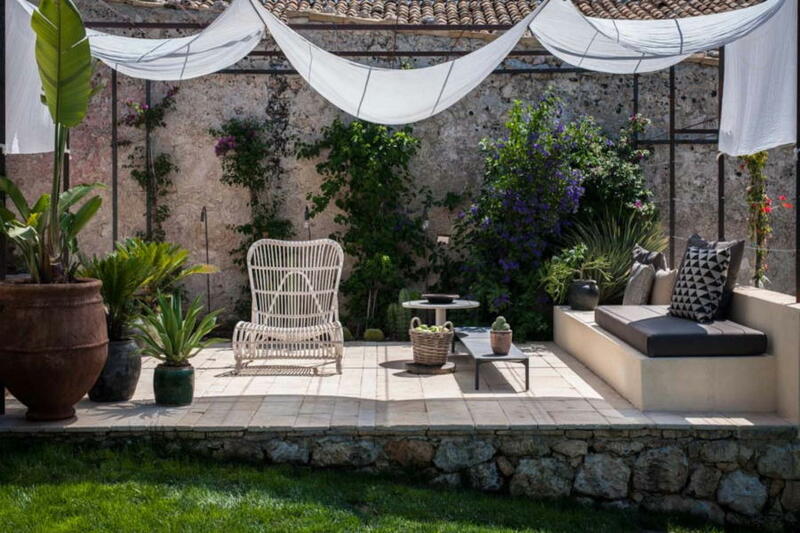 The skilful use and the aesthetics of Modica stone, Sicilian tiles, ancient artefacts and the architectural spaces, coupled with panoramas of pure beauty and the vast gardens and scents of the countryside, all contribute to the spellbinding atmosphere of this estate. 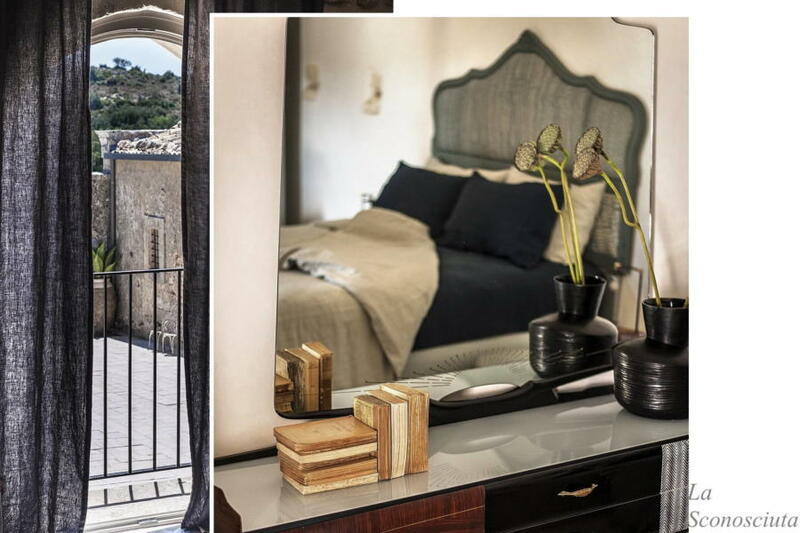 This is all only a few minutes from the magnificent city of Noto (the pearl of Sicilian Baroque), from the Borgo Marinara/tuna fishing port of Marzamemi and the beautiful Vendicari nature reserve with its crystal-clear water; the entire territory is rich in culture, art, spotless beaches and refined cuisine, so… all that’s left is to discover it all.